Are you missing a single tooth, multiple teeth or all of your teeth? Suffering from tooth loss affects your self-esteem, appearance and even your ability to eat, speak or chew as you want. At Anthony Spink Dental Suite, our experienced, caring dentists offer dental implants to restore your smile, bite function and confidence. 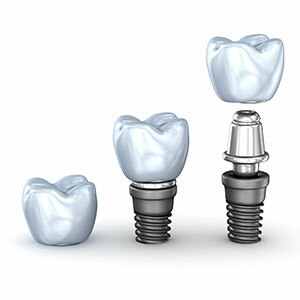 Dental implants have become the gold standard in tooth replacement for these many reasons. The first step is to have a consultation with our team. We’ll sit down, examine your mouth and discuss what solution is best for you. When you and your dentist have determined that dental implants are the most suitable solution for your situation, we’ll begin by placing a small titanium implant into the jawbone where the tooth is missing. After 3-6 months, the area has healed and fused with the jawbone. Then, a dental crown, dental bridge or denture can be placed on the implant to complete the procedure. Single. Only one dental implant is needed. Once placed and healed, a crown is created with our E4D same-day crown technology to complete your high-quality restoration quickly. Multiple. A bridge or partial denture can be attached to a dental implant. Our recommendations will depend on your particular situation and your preferences. Complete. 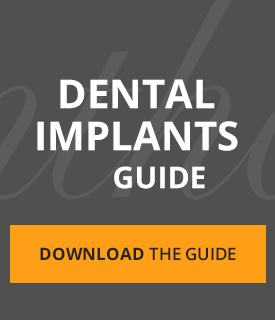 A total of 4-6 implants can be placed in the gums with a full denture affixed to them, completely restoring your smile with a stable and secure feel. A dental implant should be brushed and flossed just like regular teeth. Though it isn’t a natural tooth, the surrounding gum can still be subject to gum disease if not properly cared for. You won’t have to worry about removing your dental implants, applying adhesives or giving them a special cleaning at night. They’re incredibly easy to care for and won’t compromise the health of your other teeth. We’re committed to helping you achieve the smile you want. Experience high-quality dental care with our friendly, compassionate team. Contact us today by phone or email to schedule an initial appointment for dental implants Brighton! Payment plans through zipMoney are available.